Happy Tuesday, everyone! Since my last post, I've managed to accomplish a couple of things. 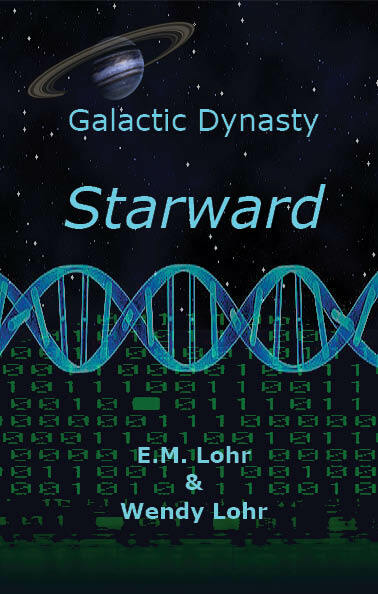 First of all, I'm excited to announce that Starward (Galactic Dynasty #1) has a cover...YAY!! Would you like to see it?? What do you think? I love it! And it fits so well with the events of the first book. :) But, you'll have to wait until it's actually published to really understand how well this cover fits...hehe. I know, I'm evil but that's the way it goes sometimes. Anyway, edits are moving along nicely for Starward and hopefully I'll have a better timeframe soon for when the book will actually be available on Kindle and Nook. Until then, I'll keep you posted on the progress. In other news, I've updated the Cressen Books website so now links are available to the Nook for each of the books. And two new pages have been added, one for General Fiction and one for Young Adult Fiction. These pages showcase the various books available under these broad genres. 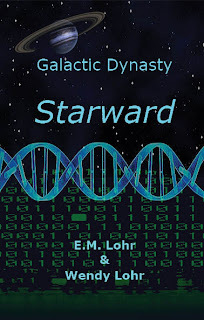 Soon, Starward will get it's own page with the cover, synopsis, and first chapter as well as links to the Kindle and Nook once the book is officially published! Other than that, just staying busy with editing, writing, and cover designing! Not to mention being out enjoying the beautiful weather this past weekend. My Muse and I had a cookout with several friends on Saturday and spent almost the entire day outdoors exploring our 15-acres of woods, roasting marshmallows over the firepit, eating some great grilled Cornish game hens and veggies, and checking out the moon and stars with the telescope we got for Christmas. So much fun! Well, it's back to editing for me. And then off to physical therapy to have my ankle tortured...lol. Fortunately, PT seems to actually be helping and I'm not having as many problems with my ankle as I used to. So, crossing my fingers, maybe I won't have to have too many more sessions before they'll turn me loose to do home exercises.